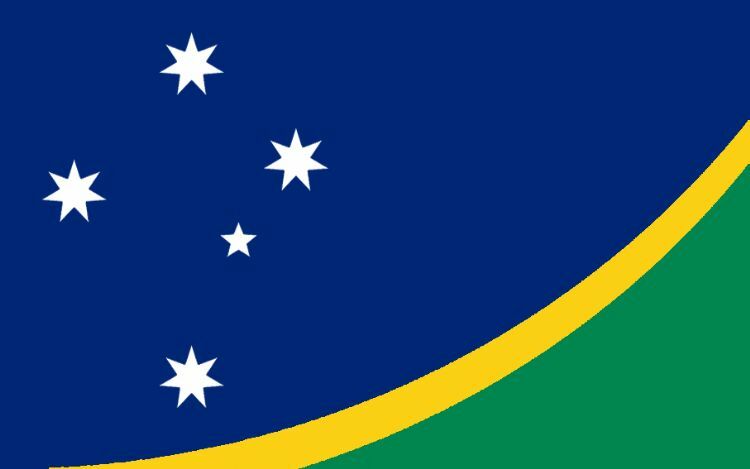 The green and gold line represents the Australian people with the southern cross in the blue sky above above. The upward slope of the line indicates the progress that the Australian people have made together. The slope does not reach the top corner of the flag to symbolize our efforts to always push forward as there is always more that can be done. 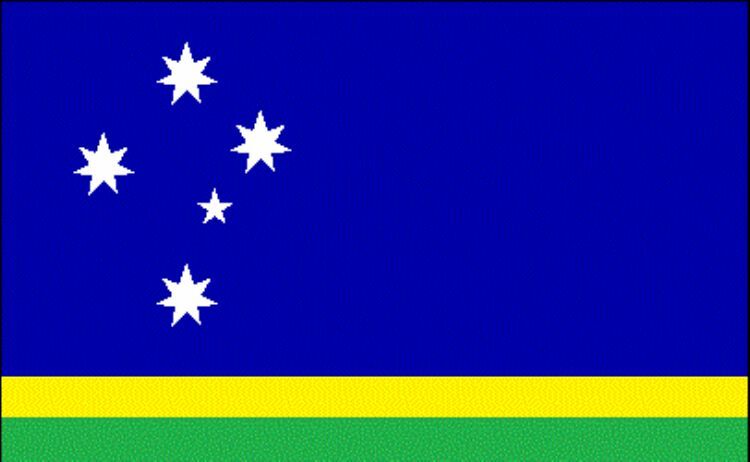 Australian pale with first third green and second two-thirds blue. Blue and white are from the existing flag. 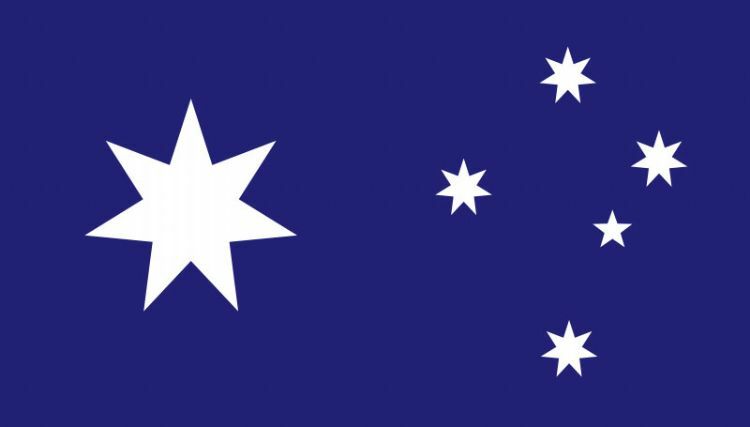 The Southern Cross is retained in the fly, as with the current flag, and a golden Commonwealth Star is in the first third of the flag. 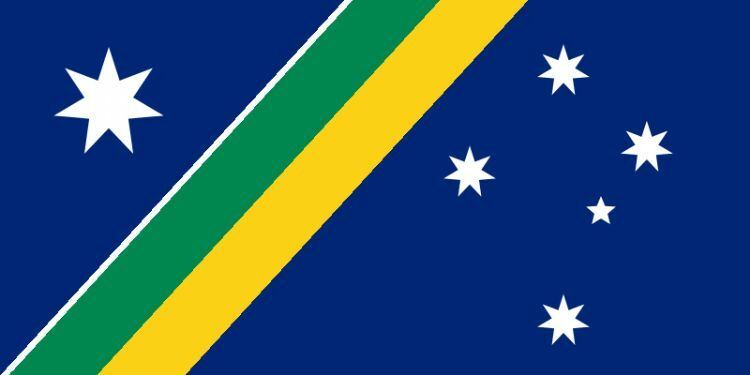 The commonwealth star represents our seven states and territories. The Southern Cross is present, but the stars are replaced by aboriginal symbols that represent community. The dark blue represents the ocean and the sky. The kangaroo is an iconic symbol for Australia, along with the symbolic southern cross. 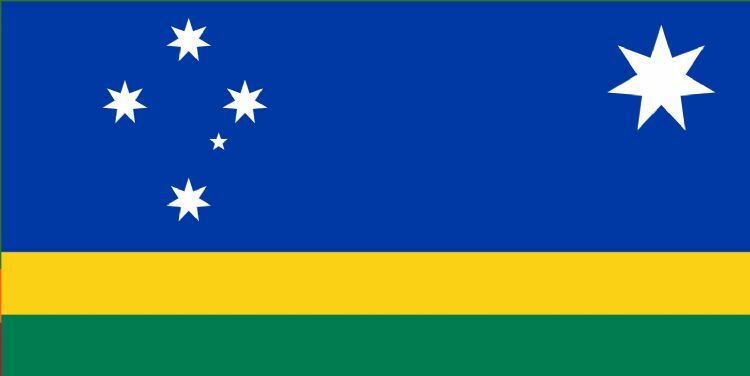 Same flag that the current flag, the union jack is replaced by australian national colors. 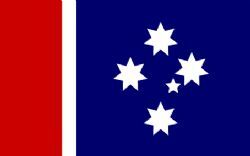 This design incorporates all elements of the current flag except the union jack which has been replaced with a boomerang shape to break up the red and blue. 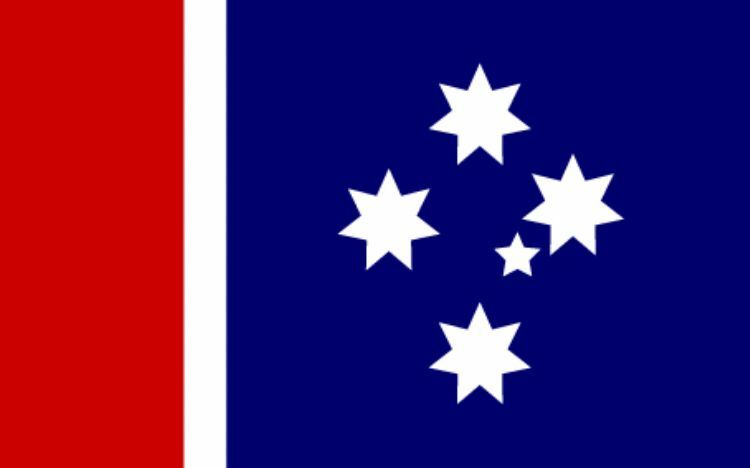 A simple, straightforward, minimalist design based on the Southern Cross, a revered symbol in both the indigenous and settler cultures, intentionally made bolder to make it look spirited and unmistakable. Submitting this not as my design but as a variation on your 1986 winner, which is the best you have ever come up with. I really don’t want the flag changed at all but 1986 was the most tolerable non divisive you have ever come up with. However, seeing as Green and Gold are now the official national colours as opposed to the old Blue and Gold on the coat of arms, may I suggest you make the horizontal bars green and gold and of equal proportions instead. 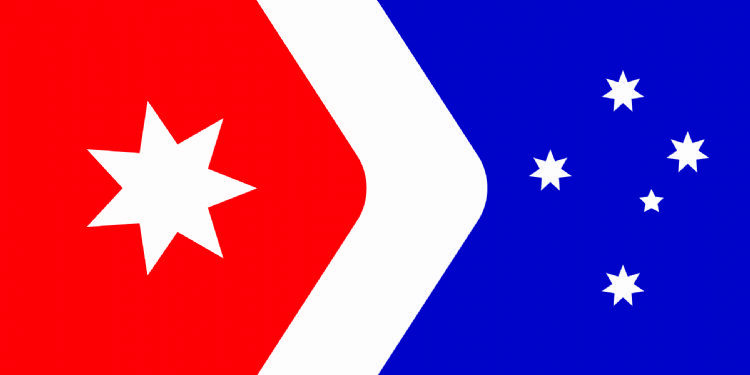 I think on any new flag that the Southern Cross should occupy the left part of the flag. 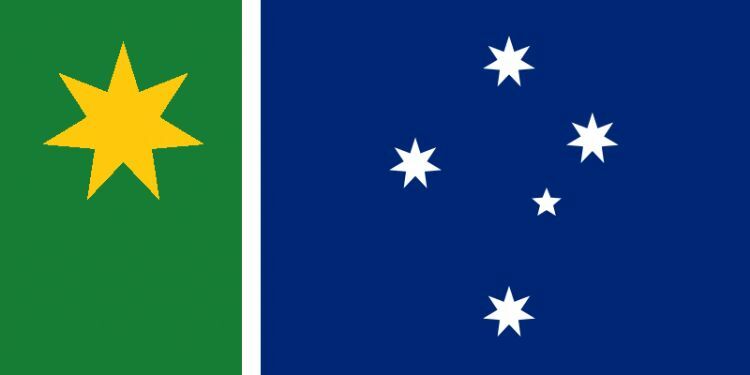 Green and Gold: Derived from the Wattle, they represent all Australians equally, having been here before all occupants and present in all parts of Australia. Southern Cross: As per the Wattle, represents all Australians equally, was here before all other occupants, is mentioned in Aboriginal Dreamtime mythology and has been a national symbol since European settlement. 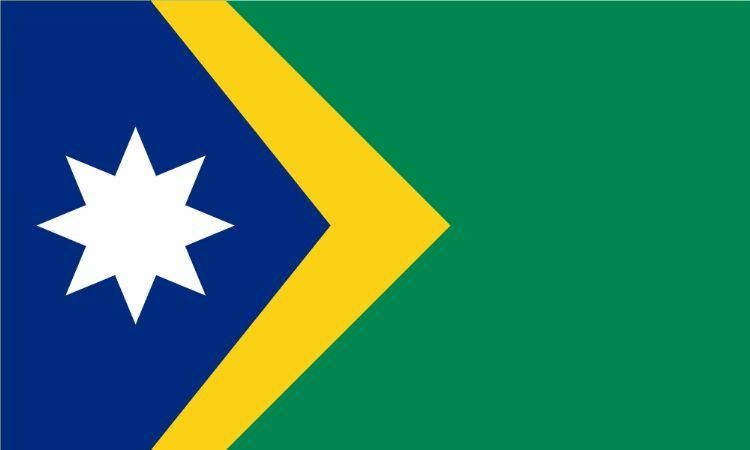 It also represents our geographical place in the world in the Southern Hemisphere, and compared to other Pacific nations, its seven pointed stars represent the seven States and Territories of Australia, making this version of the Southern Cross uniquely ours and also eliminates the need for a Federation Star. Should the composition of the Commonwealth change, the points of the stars can be added or subtracted accordingly. Blue field: Signifies a nation continent surrounded completely by sea and sky, also reflective and recognising previous ensigns of Australia. Simple, striking, vexillogically correct and non-divisive. 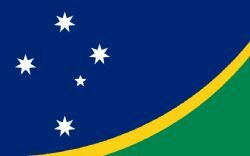 Draws on colours and designs from the three main flags in Australia. 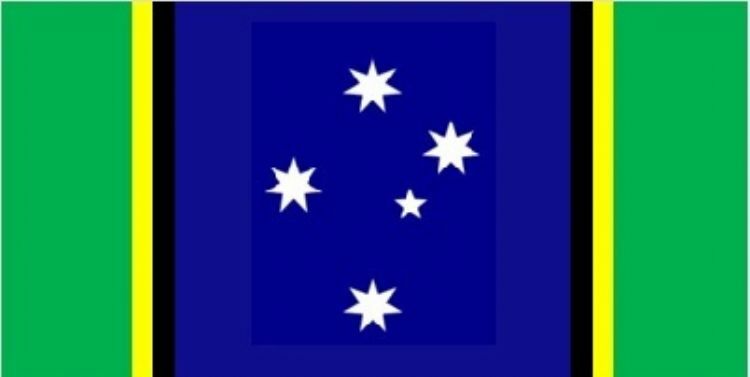 The blue & white southern cross from the existing flag. 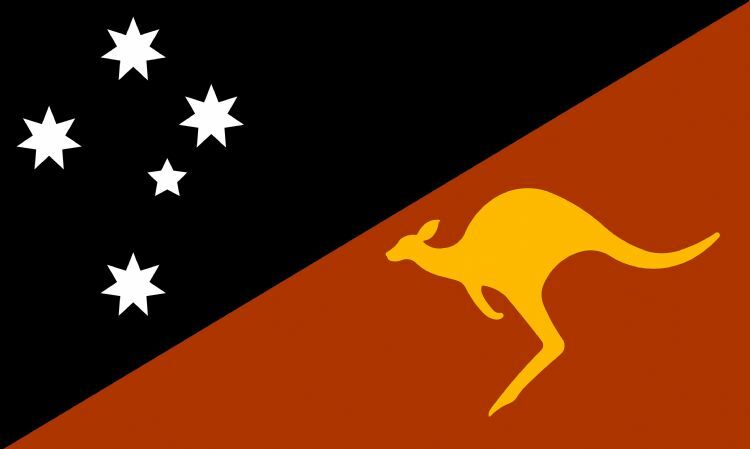 Yellow and black from the Australian Aboriginal flag. Green and Black from the Torres Strait Islander flag. A simple flag that any child can copy. 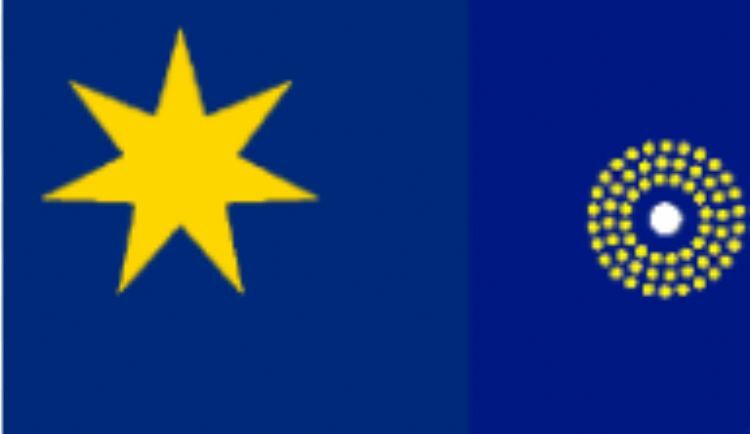 Looking at other countries, the most popular flags that are passionately supported by their citizens are fairly minimalist. 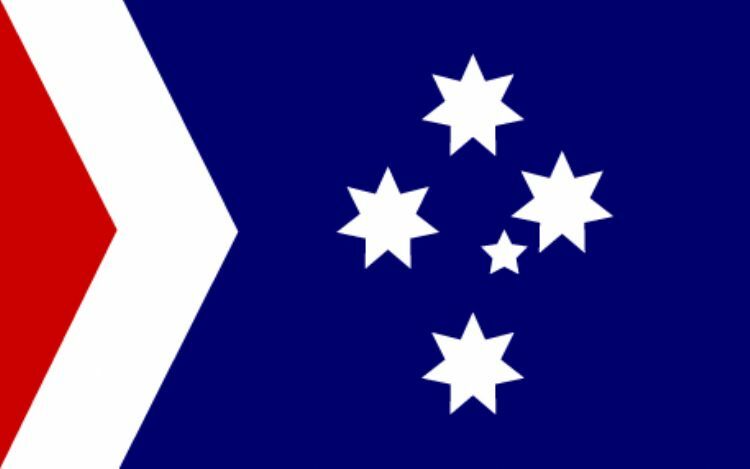 Symbolically remove the Union Jack, move the Commonwealth star upwards and make it more prominent. 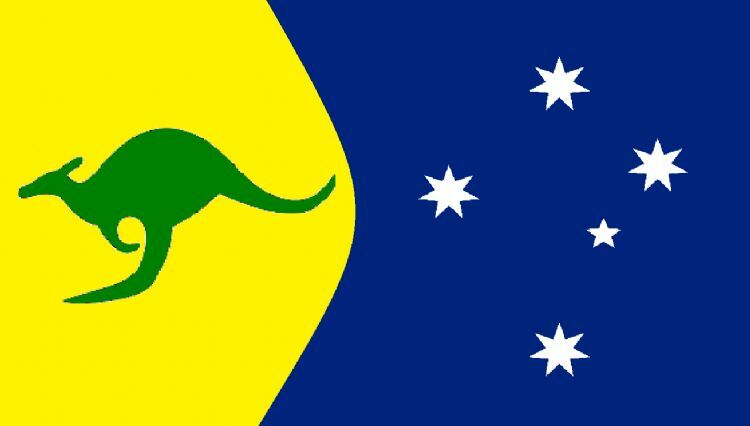 Recognisably Australian, simple, timeless, and beautiful.